Acucraft now offers a 6′ long linear standard gas fireplace with remote adjustable flame: The BLAZE6. The BLAZE6 gas fireplace still includes the Quality you’ve grown to appreciate, the Value you love, and the Adjustability you want! By selling directly to our customers we are able to maintain the integrity of our product and price this unit at thousands less than our competitors! The BLAZE6 linear gas fireplace has additional Interior, Glass, & Finishing options to suit your needs! Add heat to your space while keeping the glass temperature under fireplace standards. Forces air from outside into the air channel between glass panes. 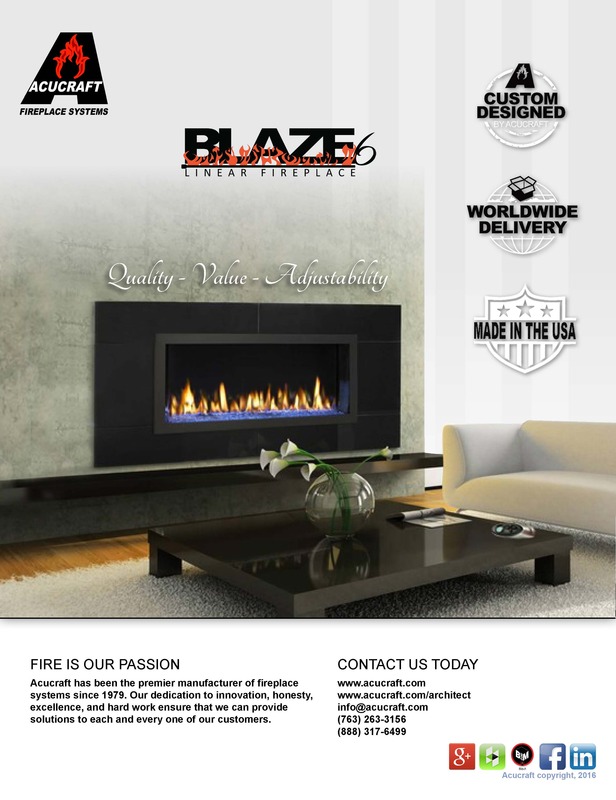 Request a copy of our BLAZE6 standard linear gas fireplace today for more information! We have really been enjoying our fireplace, it is an excellent product. ."